The 2018 National Defense Strategy (NDS) states that the Defense Department’s “enduring mission is to provide combat-credible military forces needed to deter war and protect the security of our nation.” This 2019 Missile Defense Review (MDR) is fully aligned with the NDS, writes acting US Defense Secretary Patrick Shanahan. The MDR was conducted pursuant to public law and executed in order to support the clear national interests defined by the President in the 2017 National Security Strategy. 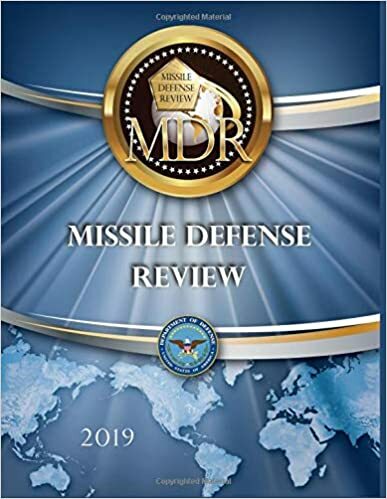 The 2019 MDR sets the guidelines for the Department-wide effort to strengthen the defense of our homeland and the Joint Force’s posture. It presents the policies, strategies, and capabilities that will guide the Department’s missile defense initiatives and programs over the coming decade to enhance the protection of the American people, defend our sovereignty, and meet our international obligations and commitments to our allies and partners. We must anticipate the evolution of adversary offensive missile capabilities, and develop and field the U.S. missile defenses that fit the needs of this era, writes Shanahan in the introduction to the MDR. As noted in the 2018 NDS, sharpening the competitive edge of our Joint Force is a must. By this I mean enabling our force to deploy and employ in the face of the developing missile threat. This requires thinking creatively and acting with greater urgency. We will generate innovative solutions that expand the competitive space, and create vulnerability gaps and dilemmas for future adversaries. In the face of rising competition, we must proactively work to better defend the homeland, and enhance deterrence to adapt to the needs of this era. We need institutional processes to generate lethal capabilities with greater affordability at the speed of relevance. These guidelines for U.S. missile defense are particularly critical today given the continuing proliferation of offensive missile technology and the dynamics of an increasingly competitive strategic environment. The logic of the 2018 NDS is simple; a more lethal and agile Joint Force, coupled with a more robust system of allied and partner capabilities that are designed to be interoperable with ours, will preserve an international order that is most conducive to peace and prosperity. The defense strategy stresses the readiness of today’s armed forces and prioritized development of future capabilities.